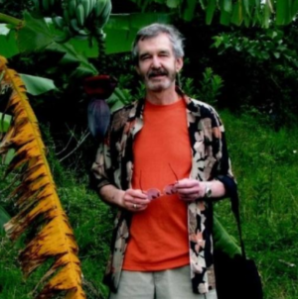 Charles passed away at the age of 75 in Overlake Hospital due to complications after a long battle with pulmonary sarcoidosis. He was an extraordinary person; kind, generous and a man of integrity. He was diagnosed in his early forties with pulmonary sarcoidosis, an autoimmune disease. 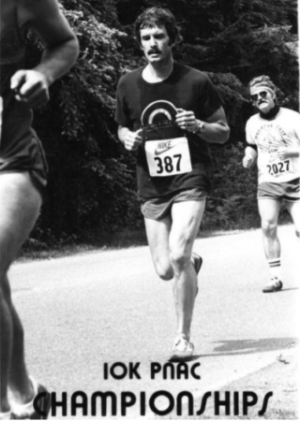 He never smoked and was a long distance runner and loved to do weights at the gym. Unfortunately his disease was tenacious, robbing him of stamina and eventually the ability to breathe without supplemental oxygen. In his last few years he was a fixture at the Snoqualmie Ridge YMCA doing his weights with his oxygen tank by his side. He was an inspiration to those who knew him. He went about life without complaint. Charles was a loving husband, father, grandfather, uncle, brother-in-law and friend. He was preceded in death by his mother, Ruth E Butler, father, Francis R Butler and sister, Brenda J Cossey. Charles was born in Burbank California, grew up in Quilcene, Washington and graduated from the University of Washington. He met the love of his life, Sally Turner, at the University of Washington. 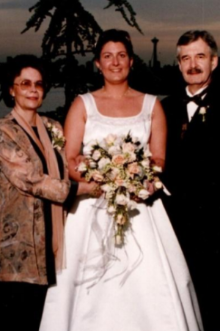 They married in 1965 and lived in Seattle until moving to Snoqualmie in 1998. Charles and Sally moved to Snoqualmie in 1998 to the new development Snoqualmie Ridge. Charles loved his family. Although extremely ill in 1999 he did not miss his daughter, Heather’s, wedding. He took early retirement in 2002 from Ferguson Enterprises, Inc. due to medical reasons. In 2016 Charles and Sally found a one-level condo 2 blocks from their original ridge home which suited his medical needs and allowed him to still participate in the community he had grown to love. At the time of his passing they were one month shy of their 54th wedding anniversary. 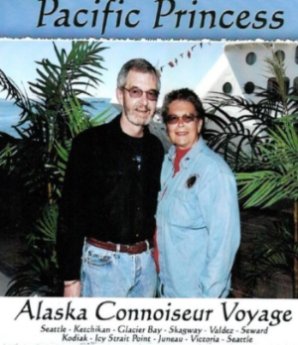 When air travel was out, Charles and Sally made several vacation trips to Disneyland on Amtrak’s Coast Starlight Train for granddaughter, Alana. Alana loves Disneyland just like her mother, Heather. 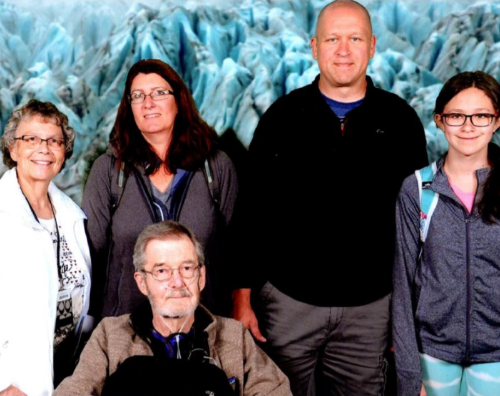 As his disease progressed his transportation needs dwindled to having to stay below 1000 feet. No more flying, train, or going over mountain passes. Although he was eventually tethered to oxygen 24/7 his needs were met. He loved the water having grown up on Quilcene Bay. When he retired from Ferguson in 2002 his company’s retirement gift was a paid Cruise Vacation for two. 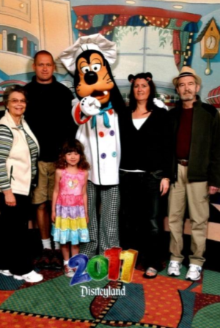 After pneumonia, 3 collapsed lungs and lung surgery he was finally able to take his cruise in 2005. He selected the Mexican Riviera where he discovered that he loved cruising. It was wonderful when Holland American provided the Circle Hawaii Cruises RT from Seattle. He soaked up the heat! Vacations in 2007, 2008 and 2010 could still be done without 24/7 oxygen. During the last few years of his life Charles was never idle. He loved family time. He loved genealogy, word games on his computer, crossword puzzles, board games with his granddaughter, table puzzles with his daughter and son-in-law and his trips to the YMCA. Most recently, his vacations were spent on annual cruises to Alaska, RT Seattle. In 2018, his wife, daughter, son-in-law and granddaughter all cruised together. He said it was the best cruise he had ever had. Always optimistic, he made reservations for another family cruise in August 2019. Charles is survived by his wife, Sally, daughter, Heather, son-in law Jason Reinfeld, granddaughter Alana, sister Winona Prill (Bob) many nieces/nephews, sister-in-law Carol, brother-in-law Loren and wonderful friends. His generous spirit, humor and gentle way will be missed by all who knew him. A Celebration of Life will be held in the summer of 2019. The time of year Charles loved most!